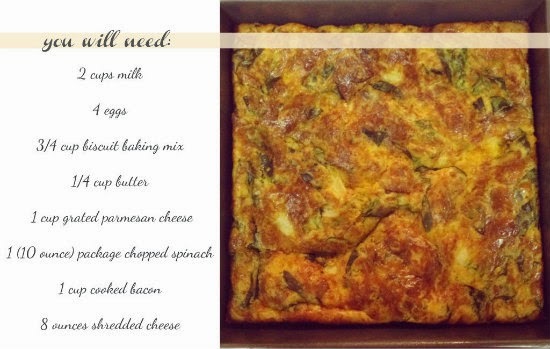 Choose to be Happy: spinach quiche, mmm mm! Preheat oven to 375 degrees F, Lightly grease a 10 inch quiche dish. In a large bowl, beat together milk, eggs, baking mix, butter and parmesan cheese. Stir in broccoli, ham and Cheddar cheese. Pour into prepared quiche dish. Bake in preheated oven for 50 minutes, until eggs are set and top is golden brown. Looks and sounds delish!! Definitely pinning this for future use!